Please don’t get confused with the title. I haven’t turned out to be a wonderful bakers like the ones in Daring Bakers overnight and I have no plans of joining that group for many more days (read years;) But still I am pleased to say that I did a daring thing during weekend and I actually baked!!! The idea of baking used to scare the hell out of me! I always felt the oven staring at me icily (mmm… of course it feels cold when its ‘never’ used right;) as I walked back and forth past it. I did try my level best to ignore its threatening look. It demanded me not to use it as my extended kitchen cabinets to store few more vessels and Dabbas. It coughed and twisted its nose when we popped frozen pizzas and chips into it and turned itself into one agonising aunty when I used it to ‘ferment’ Dosa and Idli batter. It almost went into strike when I, err, used it to heat my kitchen when our central boiler conked off. Gosh, isn’t it easy and quicker to walk to a nearest bakery, buy and gorge that bread or baked goodies than actually measure that cup of self raising flour!!! Well, ahem, I do think so or rather used to think so that now I actually have baked and found some pleasure in it. I always felt that I am not a person with enough patience when it came to baking. First, I never managed to follow the instructions to the word as I like changing and modifying ingredients to suit my taste and preference. Unfortunately it’s a big no-no in baking. You see the rebellious cook in me wouldn’t budge an inch and transform herself into a baking fairy. Well, you better follow the recipe step-by-step, cup-by-cup, spoon-by-spoon if you really don’t want to end up baking soggy cake, flat muffin or hard to bite cookies. Next, I couldn’t simply stop myself from opening the oven door to take a quick peek to check if my cake is baking well or not. It took me sometime to realise it is another big no-no in baking world. Well, with my ancient gas burner with dark oven I have no option of actually seeing from outside if it’s baking well or not. And my hubby dear is not to ready to stick a bulb inside our oven which is plugged from out. Men, what more can you expect!!! 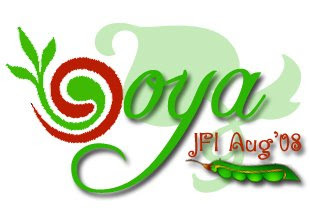 Other thing I had to keep in my mind is not to try to be too creative, especially when you are a newbie. Last time I used condensed milk in place of milk and egg thinking it will work beautifully and ended up one sad looking cake which stuck to my mouth top and was damn difficult to swallow. And no prizes for guessing that it ended up in waste bin. Well, I have come to terms with the bakers that there is a damn good reason as why milk and egg is used in baking. Armed with all these tips from my previous failed attempts at baking, I decided to follow step-by-step instructions and used proper cups and spoons to measure each and every ingredient. The result is this wicked looking Chocolate & Almond Biscotti baked following the recipe posted at The Joy of Baking. This website has wonderful collection of baked goodies which are simple to follow and you actually end up baking something that look like the one photo posted there. I have already tried few recipes from this site and none of them have failed to impress me. I would highly suggest this site for any foodie, especially amateur like myself, who wants to try their hand at baking. The Italians use the term biscotti to refer to any type of cookie. In North America, biscotti is used to describe a long, dry, hard twice-baked cookie with a curved top and flat bottom designed for dunking into wine or coffee. 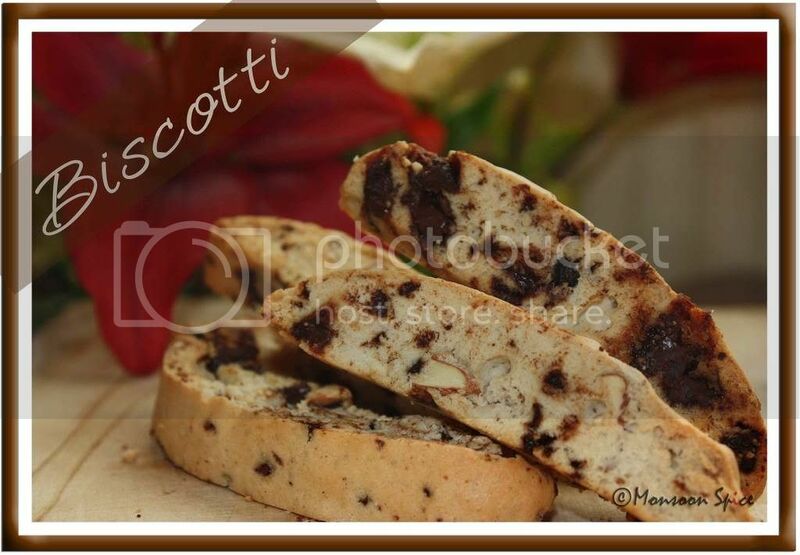 The name biscotti is derived from 'bis' meaning twice in Italian and 'cotto' meaning baked or cooked. 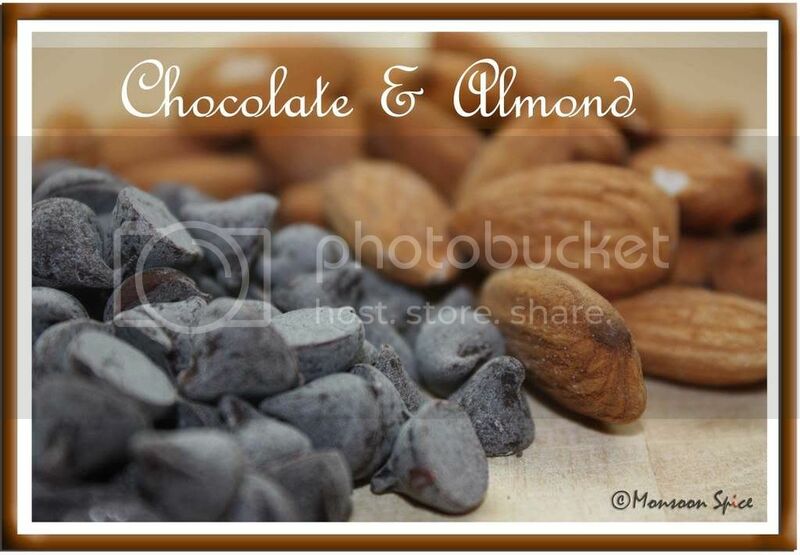 I chose Chocolate-Almond Biscotti to try first as it has two of my favourite ingredients, chocolate and almonds. There are two things I tweaked a bit. One I didn’t de-skin the almonds as I didn’t have patience to do so. I simply roasted them with skins and chopped them. Next I used half-half of chocolate chips and dark chocolate as I had these chocolate chips which I was reaching its expiry date. Initially, I was hesitant to make changes to the original recipe but went ahead with these modifications and it worked quite well ;) The end result was simply amazing and we have a big canister of these wonderfully ‘twice baked’ biscotti sitting proudly on our kitchen counter. Preheat oven to 350 degrees F (180 degrees C). Line a baking sheet with parchment paper and set it aside. Meanwhile, toast almonds for 8-10 minutes or until lightly browned and fragrant. Let them cool and then chop coarsely. Set aside. In bowl of your electric mixer (or with a hand mixer), beat the sugar and eggs on high speed until thick, pale, and fluffy (about 5 minutes. With my hand mixer it took little longer). Make sure that when you slowly raise the beaters the batter will fall back into the bowl in slow ribbons. At this point beat in the vanilla extract so that it is blended well. In a separate bowl, whisk together the flour, baking powder and salt. Add these dry ingredients to the egg mixture and beat until they are well combined. Next, gently fold in the chopped almonds and chocolate. Transfer the dough to your parchment lined baking sheet and form into a log, about 12 inches (30 cm) long and 3½ inches (9 cm) wide. Dip your fingers in a cold water if you find it too sticky and difficult to manage. Bake for 25-30 minutes, or until firm to the touch. Once it’s baked, remove from oven and let cool on a wire rack for about 10 minutes. Transfer log to a cutting board and using a serrated knife, cut log into slices of 3/4 inch (2 cm) thickness on the diagonal. Place these biscotti, cut side down, on the baking sheet. Bake 10 - 15 minutes, turn slices over, and bake another 10 - 15 minutes or until golden brown. Remove from oven and let cool. Store in an airtight container. Serve them with hot cup of coffee and enjoy. If you have already posted an entry for WBB-Summer Feast and yet to mail me, please make sure you do it by tomorrow. 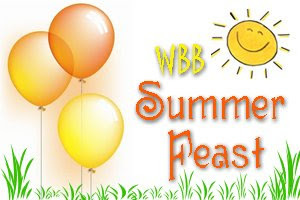 This is a final call for all you lovely bloggers to participate in WBB-Summer Feast. Please go through the guidelines and include all the required information in your post and mail when sending me your entry. Don't forget to add Your Name, Your Blog Name, Name of the Dish, and Perm Link of the entry along with the gorgeous Photo of final dish. You know what I'm glad most..you using the oven..girl how could you treat the oven as a heater..tch.tch!! Nah! Sia I don't believe this is your first attempt at baking, it looks better than the ones I see in the stores. The JFI announcement has a typo. July 31 instead of Aug 31 I think. 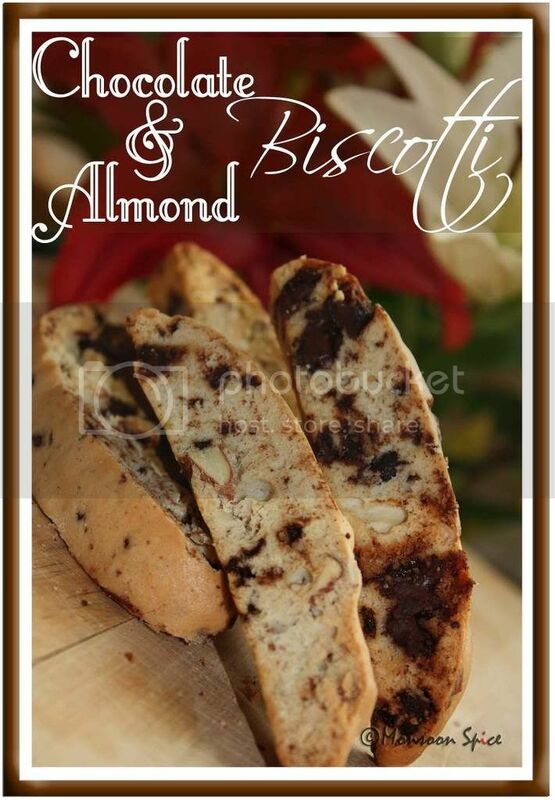 I really think Baking needs lot of work and I must admit these Almond chocolate Biscotti looks so deliciuos and tempting , Give me that and I can Munch at any time ..LOL..
Those biscottis look perfect, Congrats on your successful first attempt for baking! ooh aahh!! way to be daring, you baker!! :-) the biscottis look awesome..i've made biscotti twice, but they browned more that I wouldve liked them to...Urs look baked to perfection! Good going Sia, see baking isn't that hard after all isn't it? :) I bet your oven must be purring away right now.. The biscotti looks fabulous, and you chose the right recipe to start with. oh! thats so sweet of u to say that:) thanks. awww, thanks for the compliments girl:) u r absolutely right, i have been using my dark, black oven quite often these days. coimg from a wonderful baker like u is a real compliment:) thanks sweetie. Biscotti look awesome Sia, delicious!!! oohh..I actually thought you joined the group..but it does look as its from that daring bakers group ok..can't say this looks like first time! !..looks yummy..
and using that poor oven in all those ways..poor thing..
Hey you did a fantastic job dear, Biscotti look stunning. When I read heading, I thought u joined daring bakers :D. I loved to read your post. You are like me...I have learnt a lot from baking but still I change things and then end up messing it. Your biscottis have come out great. does not look like you are a new baker. they look great. Thank you for your Wishes, are you a cancerian too. Wow sia,they look great....congrats dear for ur attempt,atleast u started wid it.....mine maiden attempt at baking is still no where in scene! The biscotti looks absolutely stunning Sia. Just looks like the starbucks biscottis. wanna grab some. Who would say that you are not a good baker?! These Biscottis looks soooo good! wow... its ur first attempt! awesome and unbelievable! how perfectly u have prepared! can i have few of them sia? really u r a daring baker! The thing is one that has always got the better of me! I'm sure you now agree that once you've baked something at home, it always tastes much better than the store bought ones. Nice! Look forward to more recipes from you! Try making one with Dark Chocolate too which is healthy along with being extremely tasty! Look forward to a cake or something of that sort!